PanARMENIAN.Net - A magnitude 4.9 earthquake struck Azerbaijan, with people in some towns in Artsakh (Nagorno Karabakh) feeling the tremors across the border on Tuesday, February 5 evening. The quake hit in the Caucasus Mountains close to the city of Shamakhi in Azerbaijan’s Ismayilli region. It struck at a shallow depth of 10 kilometers. 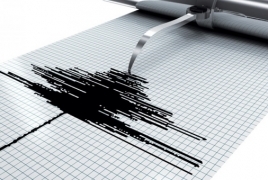 Authorities in Azerbaijan also recorded a magnitude 4.0 earthquake earlier in the day close to the border with Iran. According to local media publications, some 4,000 earthquakes struck the country in 2018.